Over the past year eleven Regions have been working together to form a Buying Alliance. 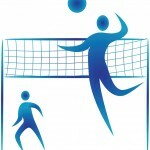 Our goal is to have vendors lower prices for USAV members. We are pleased to announce that we have some vendors in place and have launched our Alliance. Please remember this is just the beginning and we hope to add more vendors and better develop our site as time goes on. You must be a Current NERVA member to purchase from the site. The New England Region Members Buying Alliance is designed to give members discount prices on quality products. Once you determine your order, email or call Amber 714-943-3951. Amber has been hired by the Alliance to facilitate order processing since many Regions (like NERVA) do not have a full time staff or office. All orders must be paid via credit or debit card at time of order. TEAM or Club orders only- sorry, no individuals, unless ordering multiple items. (We cannot handle the volume of individual single item orders). Mizuno Pricing: Mizuno would not let us publish prices â and they did not want us to interfere with current relationships. We agreed members would have to call Amber to pre-qualify orders. In other words; if a member is not currently using Mizuno, the order would qualify. If a member currently has a relationship with a Mizuno representative, they would have to continue using that representative for purchases.